Belgrade continually strive to introduce new products and “ProClad Plus” is the most recent addition to our range. 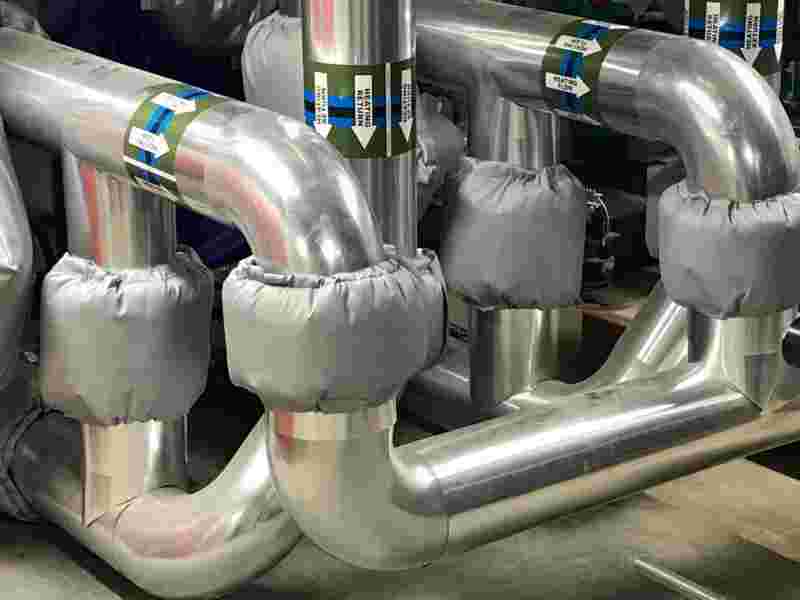 A unique Pipe Cladding manufactured by ProTech Global it allows for rapid installation of a UV stable system complete with pre-formed pipe fittings. The team at Belgrade London launched the system to their contractor customer base and became the first distributor to order the new system. Belgrade supplied the first project through contractor Metro Thermal who convinced their client of the speed of application and aesthetic benefit of the system. The project was a 225 unit residential housing project in London’s Tower Hamlets with Higgins Construction as the main contractor and I-Mex (M&E) Ltd as mechanical contractor.